The dialogue generated around the idea of “Placemaking as a New Environmentalism” is showing that this matter of how to engage with building sustainable spaces and places resonates with people across professions. In particular, Kaid Benfield's articles from earlier this year, Is placemaking a 'new environmentalism'? and Smart growth is a start. But it's not enough have inspired us to expand on our original thoughts. While the majority of the world's citizens would probably not label themselves as environmentalists, most people do care about having a safe and enjoyably world to live in into the future—in the near term, for themselves, but in the long term for their children and grandchildren, as well. For an environmental movement struggling to find a new language as it looks to tap into this latent concern, Placemaking can provide a holistic vocabulary for defining the problem and reframing the solution. Another related challenge that environmentalism faces today is that solutions are routinely framed in a consumptive way. Activists, advertisements, and pamphlets encourage people to buy green products and services. Beyond that, green design is mostly about capital-intensive projects–big buildings with big green roofs, big infrastructure–which most people have no personal connection to, as they can only utilize these buildings, parks, and bridges once they’re already complete. In trying to sell people on the idea of building a truly sustainable society, the passivity of the role of “consumer” is a serious problem. Placemaking is proactive. It introduces a new level of stewardship and a new paradigm for sustainable design that transforms people's relationship to the environment from abstract to concrete. Although donating money to environmental organizations, passing new laws, and buying green products are important contributions, the heart of the matter–the physical place of the environment–is not often directly touched upon. Placemaking aims to inspire communities to want, desire, and create better human environments. The vision is thereby built into the action, and people can engage in attainable results in both the long- and short-term. The creation of great places, neighborhoods, cities and towns transcends a single issue and brings diverse, interdisciplinary stewards to the table. 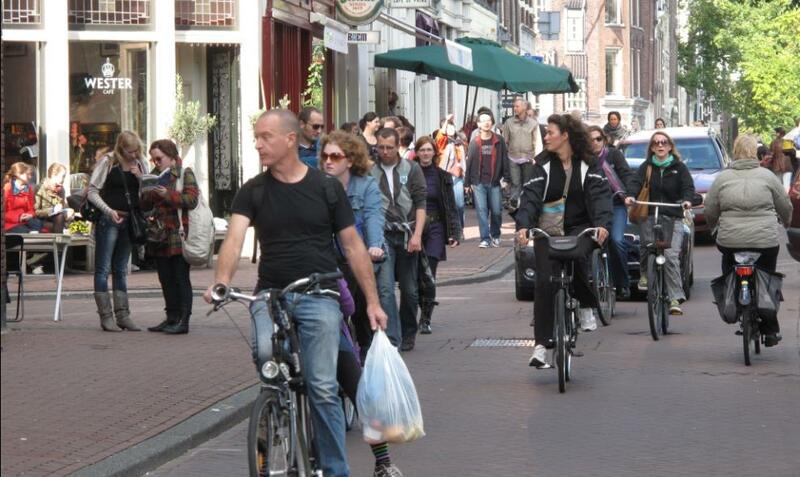 Placemaking therefore attracts new partners into the environmental movement. While many groups, activists, and citizens may not be energized by issues framed in purely environmental terms, they will engage in Placemaking when it encompasses their passion for public health, food access, local economics, culture, or myriad other concerns as well as ecology. Sustainability is arguably most effective when it is not an end in itself, but a strong undercurrent to an inclusive effort to build better lives and places. If you’re interested in learning more about the course, adding Placemaking into your mission to create greater, greener places, and abundant examples and data specific to green infrastructure, or click here to register for the course. 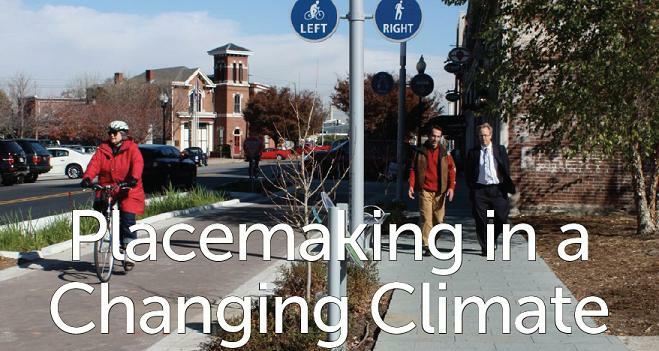 Please note that there is a $75.00 participant fee for the Placemaking in a Changing Climate course, or $125.00 with CEUs for planners and architects.